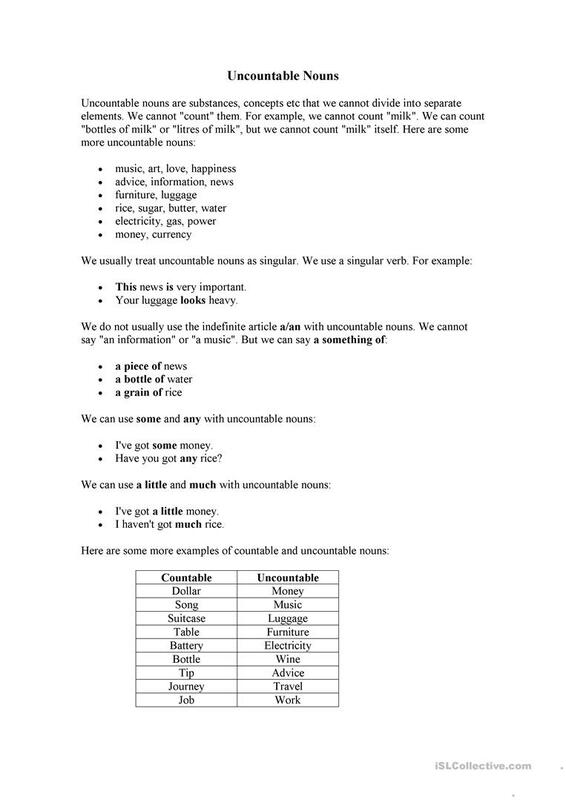 Grammar explanations and exercises about countable and uncountable nouns. The present printable, downloadable handout is a great resource for high school students and adults at Elementary (A1), Pre-intermediate (A2), Intermediate (B1) and Upper-intermediate (B2) level. 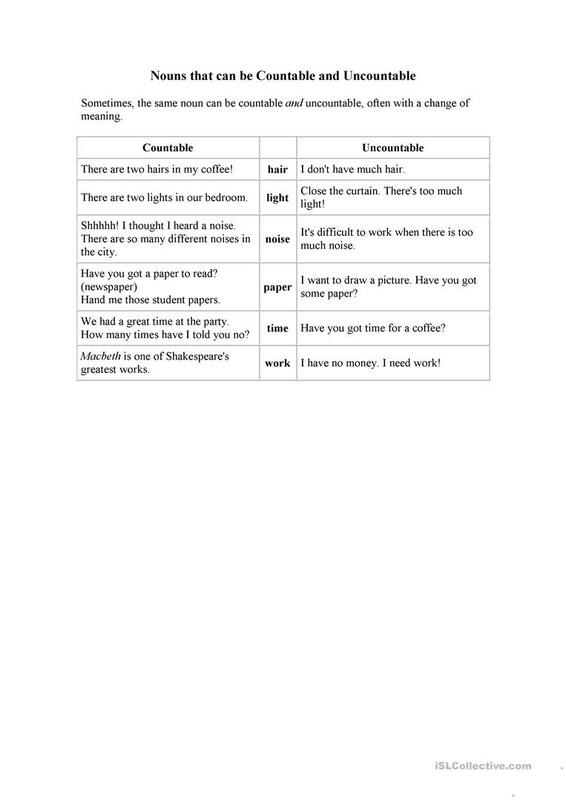 It is a useful material for revising Countable and uncountable nouns in English, and is excellent for working on your pupils' Writing skills. 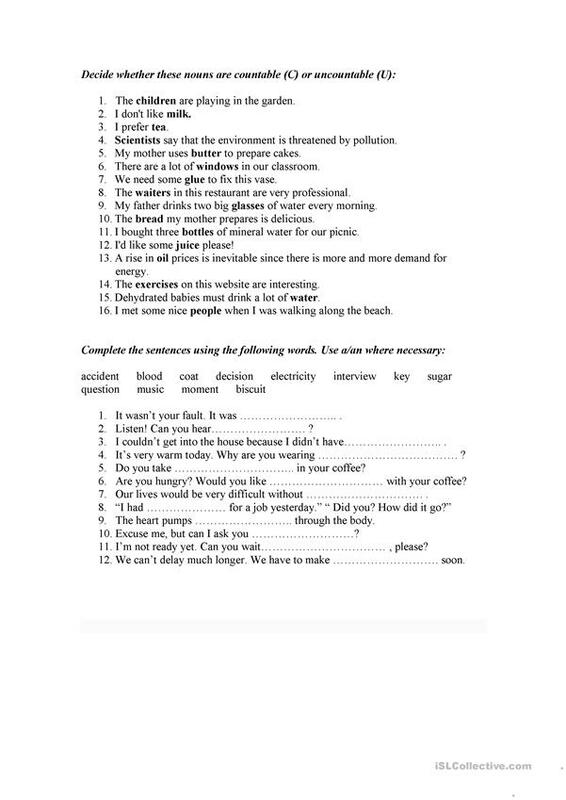 BEAARETA is from/lives in Spain and has been a member of iSLCollective since 2012-10-30 11:53:40. 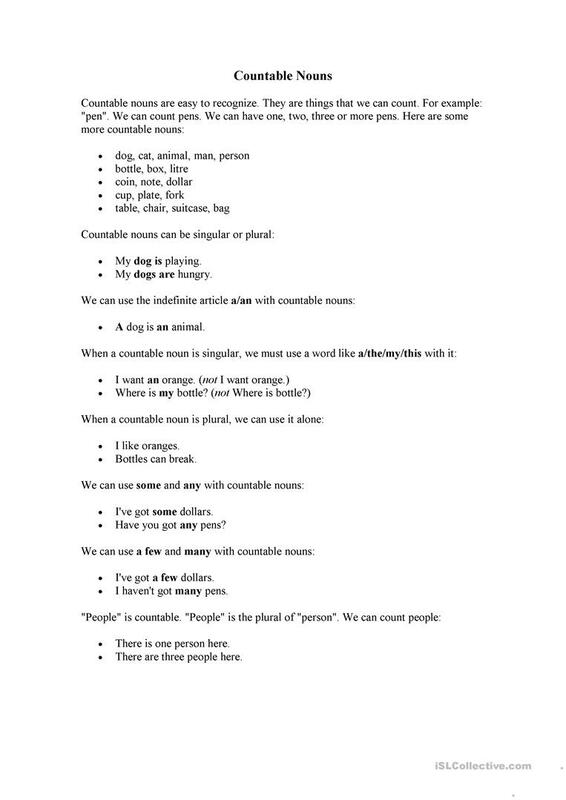 BEAARETA last logged in on 2019-04-13 11:57:35, and has shared 28 resources on iSLCollective so far.